Construction continues on a rural villa that lies just to the south of Beijing. The building is constructed of a reinforced concrete frame with masonry block infill. 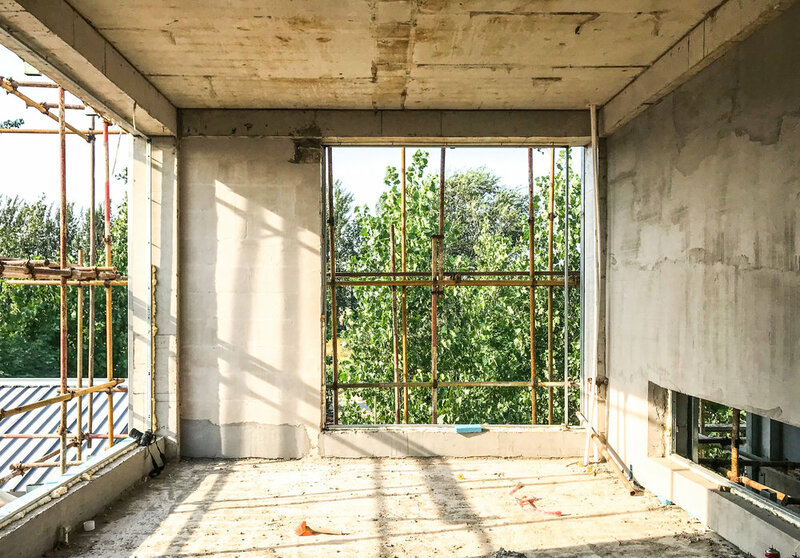 In this photo, what will be a children’s playroom affords ample daylight and connections to nature through a pair of generous floor to ceiling windows, with a third window held low that will offer children unique views (at only a child’s eye height) of an exterior garden that meanders its way into the space of the house.